Description: Ernest Benn, London, 1980. First Edition, Pictorial Laminated Boards, Illustrated by: Nister, Ernest. Near Fine/N/A. 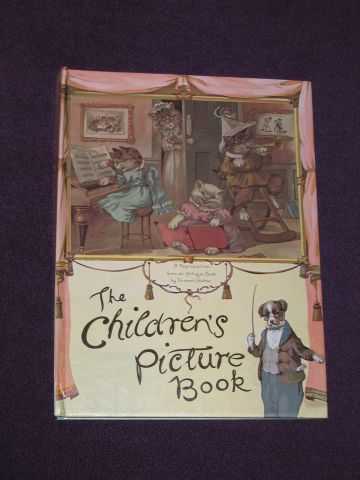 9780510000905 "this charming book is a reproduction from 'The Children's tableaux', an antique book first published in 1896 by Ernest Nister of London"; 5 delightful double-page, full-colour, Victorian pop-up pictures alternating with double pages of poetry for children; unpaginated. Size: 4to - over 9¾" - 12" tall. Illustrator: Nister, Ernest. Quantity Available: 1. Category: Children; Pop-Up Book; 19th century; Children. ISBN: 0510000908. ISBN/EAN: 9780510000905. Pictures of this item not already displayed here available upon request. Inventory No: CHD00229.